By popular demand I have added a de-badged version of the V29. It is labeled V29D in the thing files section. 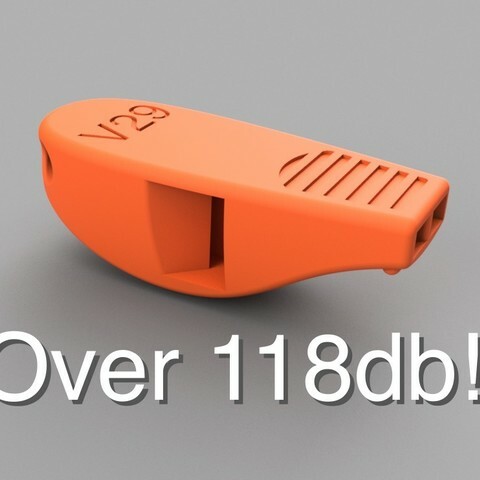 I originally put the version number on the whistle to tell them all apart as I was developing them. I kept it on the final design because as I went through version after version it became part of the whistles story for me. 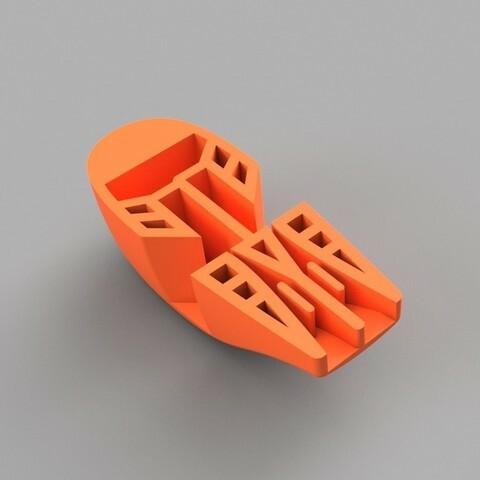 A few people have asked for a version without the text and recently Fusion 360 posted a video where they, among other things, removed the lettering from the V29 using Meshmixer. I was thrilled to see my design on my absolute favorite youtube channel and I decided to trust your feedback. Enjoy! I posted their video bellow. The MakeItLoud V29 got its name because it is the 29th version I designed for this challenge. 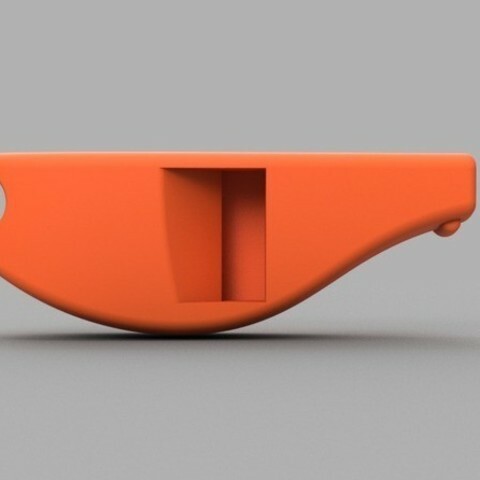 It is a survival whistle that is a completely original design. I designed it to be rugged, easy to make and carry, have a great design and most importantly be very loud. It is designed to be able to get you noticed in all conditions. For ruggedness testing I spiked it into the pavement as hard as I could repeatedly. Then I ran it over with my car twice. Finally left it in a glass of water for two hours to make sure that it would not sink and would drain and whistle immediately after taking it out. It still whistles. The design is meant to look as clean and simple as possible while still looking like a whistle. It was also designed to be easily gripped with thick gloves or cold hands. It has a raised lip on the bottom and grips on the top to allow you to hold it securely in your mouth even if you are blowing as hard as you can. There is a hole in the back for a key ring or lanyard so you can wear it around your neck or attach it to your zipper or keychain. Another huge focus in designing this was to make it printable in one piece with no supports or rafting. I wanted someone to be able to print this before going for a hike or something with no assembly, cleanup, or fuss of any kind to get it ready. Just print and go! 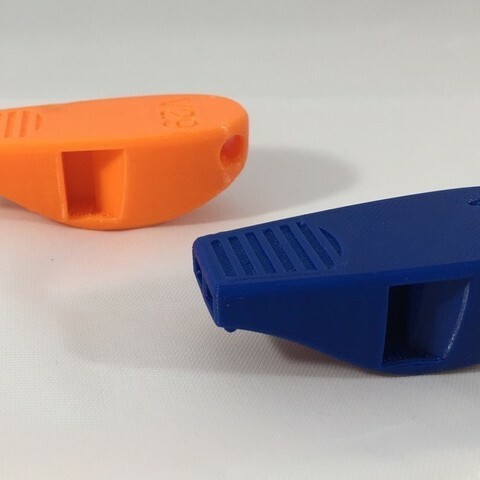 The whistle actually has two slightly different tones produced at the same time by separate chambers on either side. The two different tones alternate between amplifying and canceling each other out. This variation creates the shrill sound much like a pea whistle that is more attention grabbing and does not get lost as easily over background noise like a single tone whistle could. Unlike a pea whistle however it does not jam if blown too hard and will not freeze up in cold weather. 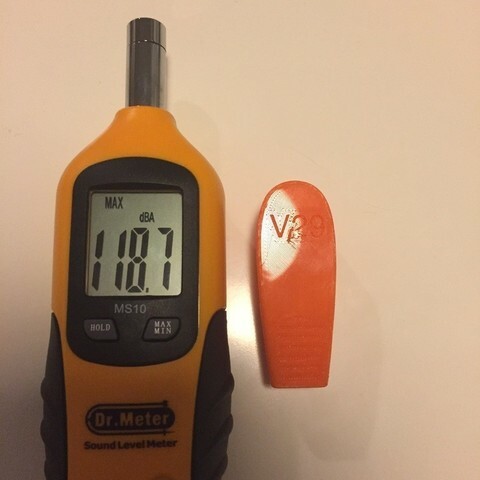 I tested the volume with my decibel meter and it reached 118.7db. The harder you blow into it the louder it is so someone with a stronger lung capacity may reach louder levels. Be careful it can hurt your ears a little bit at that level. 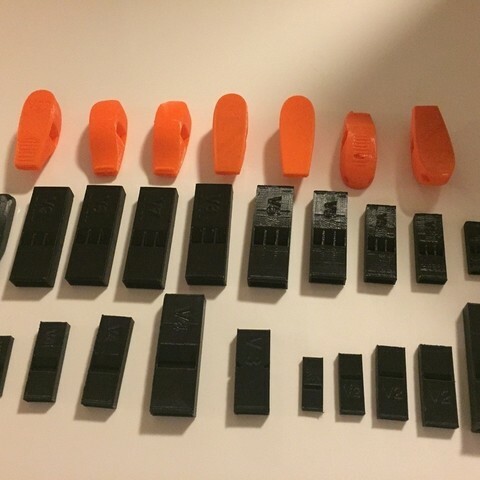 I started designing and printing prototypes from the day this challenge posted knowing next to nothing about how whistles work. Through many hours of research and testing and constant trial and error I produced a whistle that I am very proud of. It took 29 tries but this whistle met all the goals I set out to achieve. For loudest results blow as hards as you can in a burst! The international distress signal with a whistle is 3 long blasts. I hope you print it for yourself. Enjoy! Absolument epatant :) Je pensais vraiment que ca ne marcherait pas, mais si ! Il faut souffler fort dedans mais une fois que ca siffle, c'est très très fort. très beau, très résistant mais malheureusement ne fonctionne pas. Bien imprimé, mais non fonctionnel. il est beau mais il ne marche pas ! !